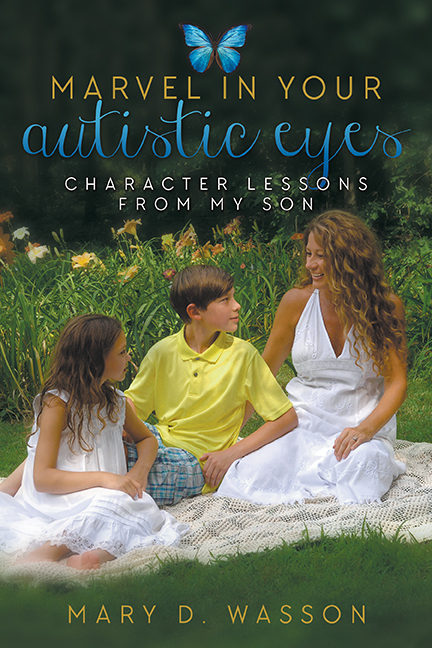 The last chapter of my book Marvel in Your Autistic Eyes will make you cry, but I think an inspirational cry that makes you feel good inside and full of hope for someone you loved touched by autism. If you read, you will see how I decided to challenge myself based on a program I had listened to about parenting with Dr. Kevin Leman. The question he challenged us as parents to ask to your child or children (but alone and one at a time), “If I could be a better mom to you what would you want for me to do or change?” This question gives your child an opportunity to open up honestly to you and yes, waiting for the answer is a little scary because what if my child thinks I am simply a terrible mother?….you know what? I think if our children could pick any mother, they probably would pick us again, BUT wouldn’t it be nice to know of things we may improve on as they grow and mature. We as mothers need to mature in our “raising children techniques” and we are never too old to learn and be willing to change if it will improve relationships. Many times, I think our kids really do not think we VALUE their opinion much. This one question shows just how much we value their opinion and their opinion matters. Plus, who knows, if you are having difficulty communicating with your child, maybe this positive move will open up more lines of communication…. And if you are like me and have a child with autism in your family, then yes, it is ok to make their favorite batch of cookies before popping the question because we always have that “element of surprise” when it comes to our special children. No excuses, no back talk, no defensive nature, just simply willing to listen to their precious heart speak….awe music to our ears! ← Never too old for cookies!